My interest in Electronics began, quite literally, in childhood. In High School, I excelled in the Electronics class, graduating in 1980. After that, I took a computer course at another school. These technical skills have served me well for many years. It wasn't until I yeilded my heart and life to Christ in late 1985, that they started to come into a clearer focus. In late 1986, I began to feel the Call of God upon my life. In 1987, it became unmistakably clear that He was calling me to serve Him through Christian radio. As I sought the Lord in prayer about this Call, the theme, "WPHA - We Praise Him Always" came to mind time and time again. In the summer of 1987, God opened the door first at a small college station, WVOF, for the summer. He then opened the doors at WFIF, where I served Him for the next twenty years, doing everything related to the on-air presentation of the Gospel. This included four major roles: On-air, Production, Engineering, and Music Director. During my 20 years at WFIF, God provided confirmation of this Vision of WPHA from many listeners, that this area truly and urgently needed a 24 hour Christ-Centered music station. I truly believe that God has given me a unique set of gifts, skills, and experience to be able to lead a God-directed team of Christians to make WPHA a reality for HIS Glory. I know for a fact that I cannot do this alone, so even from the very beginning, I have asked the Lord to bring-together a TEAM. I lack the "front office" skills needed to run a business. I openly admit this, and appreciate the fact that my first order of business will be to hire someone to fill this position. I do not have any "paper on the wall". 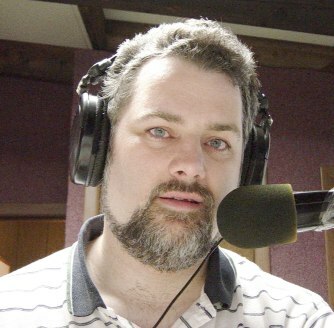 My schooling consists of 20 years "Working in the trenches" of a small-staff radio station, where I wore several hats. Therefore, my education is from the "School of Hard Knocks". My credentials are not written on paper, but are written, indellibly, upon my heart, where God can see them, easily. "(25)Because the foolishness of God is wiser than men; and the weakness of God is stronger than men. (26)For ye see your calling, brethren, how that not many wise men after the flesh, not many mighty, not many noble, [are called]: (27) But God hath chosen the foolish things of the world to confound the wise; and God hath chosen the weak things of the world to confound the things which are mighty;(28) And base things of the world, and things which are despised, hath God chosen, [yea], and things which are not, to bring to nought things that are: (29) That no flesh should glory in his presence." I truly kneel before His feet, and surrender to His Will in all things, my sole desire being to bring Him honor and glory. Please consider becoming a part of the WPHA TEAM with your prayers and financial support. To purchase a radio station requires a very large sum of money. I believe that God will make this happen, in His time, to accomplish the goal of bringing truly Christ-Centered music to the airwaves of Fairfield County. I would encourage anyone in the position of making this a reality, to FERVENTLY seek the LORD in prayer. Obey only HIS leading, so that the work will bring HIM the most glory. Thank you for your interest in WPHA.